All from the host nation, the top three seeds in the Junior Boys’ Singles event at the 2017 China Junior and Cadet Open in Taicang, following success on Saturday 24th June, booked semi-final places. Wang Chuqin, Xu Yingbin and Song Zhuocheng all progressed as did their colleague, Xue Fei; currently a player with no world ranking owing to an absence from the international scene but the runner up at the 2015 World Junior Championships in La Roche sur Yon. Impressive, Wong Chuqin accounted for Korea’s Seo Hongchan at the quarter-final stage (11-9, 11-5, 13-11, 11-5), having in the opening round defeated Singapore’s Shawn Chua Kee Yang (13-11, 11-6, 11-8, 11-5). However, for Jang Seongil, there was to be no progress beyond the opening round; he was beaten by the host nation’s Niu Guankai (11-9, 11-6, 11-2, 11-2). Success but progress was short lived; Niu Guankai experienced defeat one round later at the quarter-final stage when losing to Xue Fei (7-11, 12-10, 11-3, 11-5, 9-11, 11-7). Wang Chuqin and Xue Fei now meet in the semi-finals; in the counterpart penultimate round contest, Xu Yingbin opposes Song Zhuoheng. Xu Yingbin reserved his place in the last four following wins against Singapore’s Bevan Tan (11-5, 13-11, 11-1, 11-9) and Korea’s Lee Seunghwan (11-8, 15-13, 5-11, 11-7, 9-11, 11-2). Somewhat similarly Song Zhuoheng secured his semi-final berth by overcoming colleague, Miao Chenyang (11-2, 11-3, 13-15, 11-7, 8-11, 11-8), having in the opening round, defeated Singapore’s Josh Chua Shao Han, the no.4 seed, in a hard fought full distance seven games contest (8-11, 8-11, 11-4, 11-9, 9-11, 11-5, 11-8). One day earlier, the Singaporean had finished in second place in his group and had thus not claimed the allotted place in the draw; that privilege went to the player against whom he had experienced defeat in the initial stage, Korea’s Jang Seongil. Likewise in the Cadet Boys’ Singles event, the title is destined for China; at the semi-final stage Zong Zhuoheng meets Chen Yuanyu, Niu Guankai opposes Chen Yaxuan. 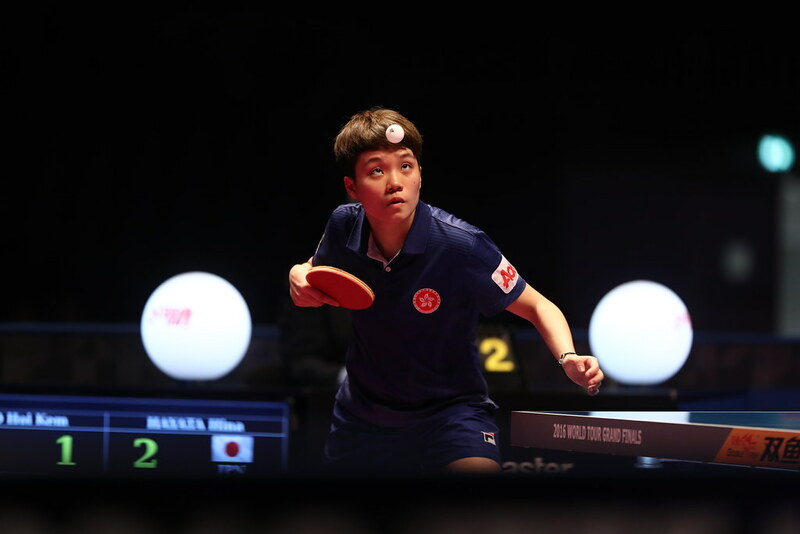 It is only in the Hopes Boys’ Singles event where the chance of a title finishing in foreign hands exists in the final Korea’s Jang Seongil meets China’s Gao Shentong. Proceedings in Taicang conclude on Sunday 25th June.